The Governor of St. Maarten, his Excellency drs. Eugene Holiday will host the 2nd annual Governor’s Symposium entitled ‘Sustainable development: Challenges for St. Maarten as a Small Island Caribbean Nation’ on August 23. “At this symposium speakers will address you from a national, regional and international perspective on sustainable development and its challenges. In doing so they shall pay special attention to critical issues such as nature preservation, energy supply, economics and poverty and social cohesion. I hope that their messages will stimulate greater interest for and contribute to the promotion of national dialogue and policymaking towards a more balanced and sustainable construct of our nation.” says Governor Holiday. The Key Note speaker will be Ms. Elizabeth Thompson. She is a former Minister and Member of Parliament of Barbados, serving from 1994 to 2008. As graduate from the University of the West Indies and the Faculty of Law Mrs Thompson held various portfolios including Energy, Environment, Health, Housing and Lands and Physical Development and Planning during her 14 year in office. In 2008 Mrs Thompson was awarded the UN’s highest award for work in environment, climate change and sustainable development – that of Champion of the Earth. Ms. Thompson was appointed to serve as a UN Assistant Secretary General with responsibility as one of two Executive Coordinators of the UN’s Rio+20 Conference on Sustainable Development. The Symposium has as further speakers: The Honorable Prime Minister Sarah Wescot-Williams, Mr. Martin Atherton (Dominican Agronomist and Agricultural Economist), Mr. J. Beaujon (former Managing Director of Windward Island Bank and Chairman of the Board of Nature Foundation), Mr. R. Maduro (President of the Managing Board of GEBE) and Ms. Joy Arnell (Head of the Department of Social Development for the ministry of Public Health, Social Development and Labor). 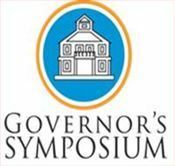 The admittance to the Symposium will be by personal invitation only, but the contents will be taped and made available to all by TV and radio.